Lebanese Artist Ali Cha'aban's "12 PM Class Series" Exhibition is a Must See! Lebanese Artist Ali Cha’aban’s “12 PM Class Series” Exhibition is a Must See! 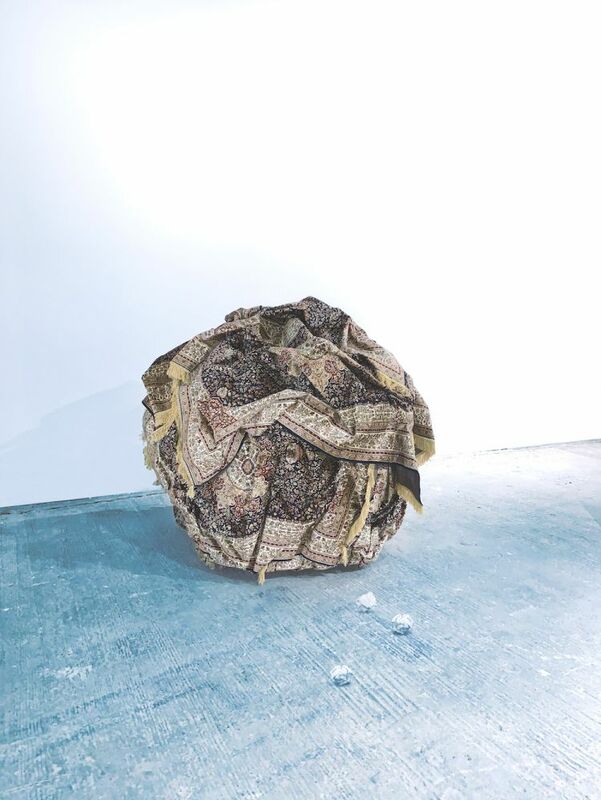 One of the highlights of Jeddah’s 21,39 Art Exhibition is Ali Cha’aban’s stunning “12 PM Class Series”! Ali is a Lebanese Artist that was born and raised in Kuwait. He is a talented observer of culture and traditions, which is reflected in his work. His pieces reflect the notion of nostalgia which is depicted so intricately in his art, tackling socio-political issues such as the Arab identity issues and the state of dystopia. 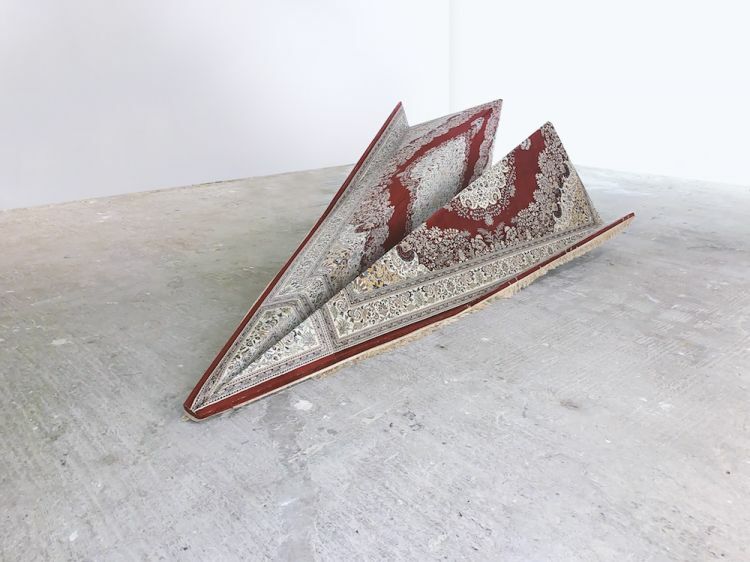 He uses huge Persian rugs in his latest art to create bedazzling giant sized paper planes and crumbled up pieces of paper. Ali seeks to challenge the current status quo of today’s educational system, which he believes is, in his own words, “failing our children,” through his artwork. “Our educational system is supposed to teach children the basic skills and capabilities of critical thinking. I believe this is because our current educational curriculum is unable to keep up with the fast-moving pace of change the world is undergoing,” said Ali. WE SAID THIS: Truly mesmerizing series of art.